Just wanted to let you know how you helped inspire me to set off on an insane plan for next year called 12 for '12, in which I plan to write (and then self-publish) a novel a month for the entirety of 2012. I've been sitting on the fence about this for a while, but watching your progress toward self-publishing has been nudging me off. It finally took the emergence of Kickstarter to shove me over. I set up a drive to help fund the first trilogy of books by taking pre-orders for them. It's going well so far, and I'm looking forward to one hell of a ride for the rest of the year. Anyhow, thanks again for advocating for authors looking out for themselves and trying new things. Clearly, Matt is crazy. But maybe it's a healthy insanity, if there is such a thing. I can't imagine writing 12 novels in 12 months by myself ( the Dead Man monthly series that I'm doing with Amazon's 47North imprint is being written with a dozen other writers). Matt has already raised over $6000 on Kickstarter, which is more than most publishers are offering as advances these days, so he maybe he is really on to something. And considering how prolific and versatile he is, if any writer can pull this off, it's him. Unlike in paper, where an author needs a distribution partner to cost-effectively reach a mass market of readers, in digital a lone author has exactly the same ability to distribute as any New York-based, billion-dollar multinational conglomerate. In that single, succinct paragraph, my buddy Barry Eisler makes it clear why publishers are becoming increasingly irrelevant for authors…and why guys like me are turning down book contracts, even on successful series, from big six publishers in favor of self-publishing and/or publishing through one of the Amazon imprints. That paragraph is an excerpt from Barry's terrific guest post at Writer Unboxed — an essay that should be required reading for authors, editors, publishers, and aspiring writers. Here some more of his sharp observations about the digital landscape. In digital distribution, legacy publishers offer zero value. An author can distribute one-hundred-percent as effectively alone as she can with a legacy publisher. In other words, in digital distribution, an author has no use for New York. For more, see this guest post I did at J.A. Konrath’s blog, A Newbie’s Guide to Publishing (a blog you should absolutely be reading regularly). Note that I’m only talking about distribution and I’m only talking about digital. I didn’t say that New York publishers have no value to offer in paper, in, editing, or in other areas. To me this is obvious, but I’ve learned to include this sort of disclaimer to make it marginally more difficult for dodgers, denialists, and dudgeon demons to avoid actual thought in favor of straw man arguments and other mischaracterizations of what I’ve actually said. Third, and flowing from the first two: in a digital world, the primary value a publisher can offer an author is direct-to-consumer marketing. This is why Amazon is so strongly positioned to succeed in digital publishing: its book business is built on its ability to reach tens or even hundreds of millions of readers directly by email. Amazon marketing is both exceptionally focused (book buyers) and exceptionally broad (tens or even hundreds of millions of customers). Entities that can offer authors compelling direct-to-consumer marketing value will be in a good position to take a cut of the profits. One recent example is the L.A. Times. Think of entities that fit the bill, and you’ll be able to predict tomorrow’s publishers. Interestingly, there’s one particular group of companies that lacks any meaningful direct-to-consumer marketing ability. That group is New York publishing. Draw your own conclusions. But he's got more to say than just that…go read his post. You won't be sorry. 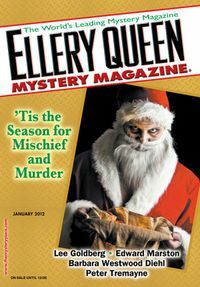 My short story "Mr. Monk and the Open House," an excerpt from my upcoming book MR. MONK ON PATROL, appears in this month's issue of Ellery Queen Mystery Magazine. You can find it at your local newsstand, or download a digital copy here. Matt Cahill was an ordinary man leading a simple life until a shocking accident changed everything. Now he can see a nightmarish netherworld that exists within our own. Now he's on a dangerous quest for the answers to who he is and what he has become…and engaged in an epic battle to save us, and his soul, from the clutches of pure evil. When Matt wanders into a struggling Nevada tourist trap recreation of an "old west" town, he's unaware that he’s being trailed by a Special Ops team of professional mercenaries hired by a University desperate to unlock the secret behind his resurrection…and that he's put everyone around him in dire jeopardy. The mercenaries have no intention of letting Matt escape…or letting any witnesses survive. Matt finds himself in a deadly bind. Somehow he must rally the peaceful citizens into defending themselves against the sadistic, well-armed mercenaries… or sacrifice himself to save them from certain death. Q: How did you get involved in The Dead Man series? HS: In 2010, several experienced authors joined me in forming a loose organization called Top Suspense Group. 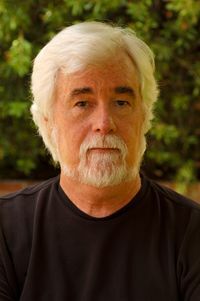 Among them was Lee Goldberg, who co-created The Dead Man series. Lee asked me if I'd be willing to contribute a novella. Since I grew up on Gold Medal novels, Lancer books and other men's pulp fiction, I loved the concept and jumped at the chance. It was a wonderful experience, and now I'm looking forward to seeing how readers react to my take on Matt's character. Q: You've written a lot of horror books, including Clan, The Hungry and the Lionsgate movie and novel Dead and Gone. How is the horror in The Dead Man different from what you have done before? HS: That's an interesting question. For me, horror is not a genre so much as an emotion, so it can be expressed in any number of ways. I generally gravitate towards dry humor coupled with a serious exploration of existential themes–literally the meaning of life, death and those fragile emotional attachments we form along the way. 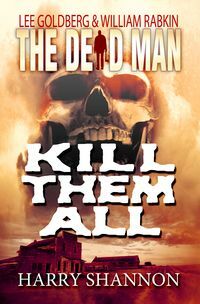 With my entry Kill Them All, I wanted to use the horror as a metaphor for moral corruption. I immediately saw Matt as the classic American hero, an archetypal loner wandering into and out of a troubled desert town, standing up to evil on behalf of the weak and downtrodden. I often set novels in Nevada, but to answer your question, this one has the feeling of a graphic novel, and though it's contemporary it is far more of a classic western than anything else I've ever done. It tempts me to try my hand at a period piece. With the launch of Book Country, Penguin is the latest major publisher to open a "self-publishing" division aimed at taking advantage of the desperation and naivete of aspiring authors and charging them outrageous amounts of money for useless publishing "services." Joe Konrath, David Gaughran, and many others have done a terrific job of outing Book Country for the enormous rip-off that it is. Here's how Joe sums up their "service:"
For $549 they will format your ebook and print book, and then upload it to retailers. Or for $299 they will let you do your own formatting, and then upload the book to retailers. 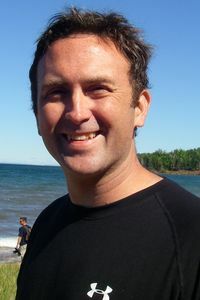 Formatting ebooks and paper books is tricky, but Rob Siders at52novels.com is less costly than Book Country, and Rob does an incredible job. After formatting, you should upload your books to Createspace,Kindle, Nook, and Smashwords on your own (takes about an hour) for FREE and you're done. You're published. That's all there is to it. Why would you pay Penguin to upload your titles? That's the easiest part of the self-publishing process. But wait, there's more. Penguin also keeps 30% of your royalties. So not only do you pay them, you also keep paying them. The one smart thing Penguin has done is make it very clear that this "service" has nothing to do with their esteemed publishing division, thus avoiding the big landmine that Harlequin stepped on when they initially announced their own division aimed at gouging aspiring authors. Book Country, LLC is a subsidiary of Penguin Group, a Pearson company. Though owned by Penguin Group (USA), Book Country is a separate entity, both legally and practically with full-time Book Country staff members. In other words, they've erected a Chinese wall between their reputable, classy publishing imprint and this sleazy, vanity press-style cash-grab from aspiring writers. They are being careful not to potentially tarnish their brand, provoke the ire of their established authors (who don't want their work associated with a vanity press), or face possible delisting by the major, professional organizations for writers. But that doesn't make Book Country any less of a rip-off. Shame on Penguin. Disgraced publisher Linda Daly wrote a half-dozen truly horrible novels that she printed through her now bankrupt Light Storm publishing company. Her books each have garnered two or three five star Amazon reviews… each from an author she has published. Naturally, none of those authors disclose in their reviews that Daly is their publisher. I would think as a "professional" writer, you would realize that reviews posted on amazon are by customers , not readers and do not qualify as true book reviews, nor does the famous "five stars" mean anything, except to boost the morale of a newly published writer. Sadly, she's not the only bonehead who abuses Amazon Reviews. Clueless wanna-bes like her have turned what was supposed to be a forum for honest reader reviews into one big, pathetic circle jerk….just so they can delude themselves into believing that their awful books are good and maybe trick someone who isn't a member of their family into buying their unreadable swill. I wish this was an isolated, pathetic incident. But it's not. It's common on places like the writer forums on Kindleboards to see wanna-bes offering to give five-star reviews to other wanna-be in return for five-star reviews of their own work. In the process, these dimwits don't see that they are totally diminishing the value of the Amazon reviews that they so desperately seek and that they are making it impossible for potential customers to believe that any reader reviews are authentic. Please do me a small favor. Mark the fake Amazon reviews on Rebel Dove, Sea of Lies, and Doves Migration, as unhelpful. Maybe disreputable individuals like Linda Daly and wrong-headed authors like Micki Peluso, Stacie Coller, and Patricia Guthrie will begin to get the point that readers don't appreciate lies and deception. Linda continues her quest and passion for writing by working on several manuscripts and screenplays; while still mentoring gifted storytellers. As much as she enjoys creating a holiday for the mind, she remains mindful that without the guidance and direction from above, none of this would be possible. From the opening scene, it is unclear he appears to be, or the devious and manipulative gigolo Jordan's uncle, and her friend Jules Storey, believe him to be. As two women, who look very much like Jordan, are brutally murdered, and a mysterious man shadows Jordan, fear sets in. Jordan begins to question just how well she knows her husband. Believing Grant intends to kill her, Jordan flees with Jules for the safety of her uncle's home in England that culminates into an explosive finale. And here's her pitch for her novel PAPER HANGER. Hours following the release of an inmate from Cumberland Penitentiary, the savage rash of murders including a seasoned and honored FBI agent are discovered. Further investigation unravels a life of corruption that may include conspiring with a fugitive from one of the FBI’s 10 Most Wanted and the unsolved Gardner Heist, valued over 500 million.Saucy, intelligent, and beautiful, Sharon Walker, a seasoned agent for the Department of Homeland Security, accepts the challenges and dangers surrounding her work, that is, until it reaches her own private world. Following the untimely deaths of her parents, killed execution style, Sharon's world is further rocked when she uncovers their secret lives as plate forgers for a counterfeit ring. Further investigations reveal that those who murdered her folks intend to keep their secret life a mystery, and will stop at nothing to assure it. Chad Lewis, (from "Sea of Lies") retired from the department is called in to uncover the truth. These stories must be in the most pristine edited condition before they will be considered for publishing. During the submission read-through process, we will determine the need for further editing, and while LSPD will not provide editing service on these reads, we will provide you with names of editors familiar with LSPD format. These editors are professionals and usually charge on average $3.00 per page. This is a one-time fee for a one-time edit, but it's well worth it, and you will be working with these editors one-on-one and completely separate from LSPD. We want these little reads to be exemplary and polished. And make note, we will not suggest you go through the editing process if we don't truly think we will publish your story. We live on tight budgets, too. We're here to help you make money, not cost you needlessly. Despite her utter failure as an author, screenwriter, and publisher, she has the chutzpah to peddle a book that she's written called "ASPIRING WRITERS GUIDE: An Author Screenwriter and Publishers Perspective on Creative Storytelling, Volume 1." It's a whopping 32 pages and it's a steal at $7.98. I can't imagine why any sane person would get into business with Linda Daly…or LSP Digital. There's is nothing she can do for you that you can't do better yourself…and that includes flushing your money down the toilet. I'm not suggesting that the marketing plan that we at LSP Digital have developed will offer you an opportunity at this year’s recipient of a Pulitzer or making the New York’s Best Sellers List. What I am suggesting, though, is that before your career can ever take off, you need to promote your work — create a buzz and we intend to help you. The first thing we ask each of our authors to remember is that YOU must promote your book. That requires hard work, dedication, persistence and a solid marketing plan as the foundation for your business. One that we at LSP believes will pave the way to your and our success . Below is a list of fundamental tools needed to 'Market your Wares', many that LSP create for our authors to assist them in their marketing endeavors. NOTE: Although LSP Digital will offer support to our stable of authors, by providing them with an extensive marketing kit and valuable tools, we firmly believe that it is the author that must promote their work, not the publisher. We publish books and should not be confused as an authors publicist. ** Create your own Business cards (include logo and / or tag line (see below). MS Word has templates to choose from. ** Create a Tag line – one or two sentences describing your story to use for promotional materials. ** Add an Email signature. It should include your logo and/or personal tag line. *** Requesting that they mail out (a minimum of 100) announcement letters to family, friends and colleagues introducing their release. *** Send an email blast announcing the release. 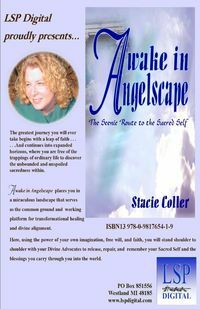 *** Mail an introduction press release to local & national publications, talk shows, local media and local book stores. My God, I am breathless. Her approach is revolutionary. No, that's not giving it enough credit. Her ideas are a revelation. It is with great pride that we at LSP Digital offer such an extensive marketing plan and support to our authors. Ultimately, we accept without reservation that it is up to the author to embrace 'Marketing Your Wares' if they are to become the success that they are striving for, we just believe that by assisting them on this wondrous journey these added steps will set LSP and our authors apart from the others. After all, LSP Digital was founded to help others see their dreams come true, and we continue to do so as we move forward in this technology revolution. It's so great that they embrace, without the slightest reservation, that their authors are responsible for everything and that LSP is responsible for absolutely nothing. That takes guts. No wonder Linda Daly has had such incredible success as an author and publisher. Now, if you will excuse me, I have to embrace my potential and print up some business cards.